A balanced deployment approach that makes the right allocations of time, effort and investment among people, process and technology. Furthermore, the implementation project must balance the need to move with speed with the mandate to deploy the CRM system properly. 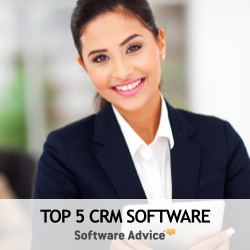 As a final best practice, CRM software implementors should seek full-service solution providers where possible. Vendor management, project continuity and accountability are all enhanced when a single vendor or solution provider offers an array of integrated professional services, which may include project management, change management, implementation advisory services, software application expertise, business process re-engineering, training and the deep technical skills for data conversions, system integration and software customization. Finding the complete suite of necessary services from a single partner can be difficult, but if done generally reduces project risk, accelerates the implementation time line and pays big dividends. Short-term: With SaaS CRM applications, small business and mid-size companies can enjoy a low up-front cost and reduced risk via an accelerated implementation. Best practices help ensure a fast time-to-value with a customer system that is embraced by users, and complements existing business processes. Mid-term: A well-implemented CRM system provides a superior, real-time view of the company's interactions and activities, and better visibility into how and why a company's sales, service and marketing efforts are successful. Long-term: Ultimately, a well-implemented CRM system can provide actionable insight into critical success drivers, without sacrificing the efficiency of employees, allowing the overall business to be managed on a more proactive basis. As a final best practice, CRM software adopters should seek full-service consulting partners where possible. Vendor management, project continuity and partner accountability are all enhanced when a single vendor or consulting partner offers an array of integrated professional services, which may include project management, change management, software application consulting, business process re-engineering, user training and the deep technical skills for data conversions, system integration and software customization.